The ‘Images of War’ series is an excellent addition to any reader interested in WW2 archive pictures, and the history behind them. 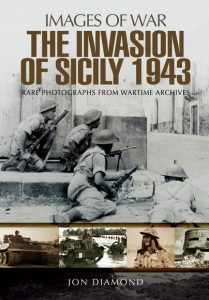 That goes for this (paperback) Invasion of Sicily 1943, as well as for other books in the series. With the majority of books on World War 2 covering the North African campaigns, the fighting in Russia and the western European campaigns, Italy has often been forgotten. Not so in this book. It provides a valuable photographic and textual account of the landings and subsequent conquer of the Italian island of Sicily. In the first chapters Jon Diamond explains the events and decisions prior to the actual Operation Husky in sufficient detail. He then covers the terrain that the Allied needed to pass and conquer, the fortifications the Italians and Germans had erected and further defensive measures that were in place at the time of the landings. 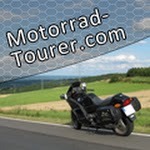 Not covered in detail are the airborne landings that preceded the landings from the sea. The best feature of the book are the hundreds of very interesting photographs, most of which I hadn’t seen before. Accompanying the many photos are chapter texts and maps, but maybe as important are the detailed texts that come with each photo. The attack of Sicily was a relative swift operation, but most certainly not an easy one. The mountainous terrain was a constant enemy, and there were more German troops on the islands than the allied intelligence thought. When reading these sort of books I usually ‘follow’ the events via my own maps, and I also use Google maps and Google Earth to get a better idea of the regions the actions took place in. 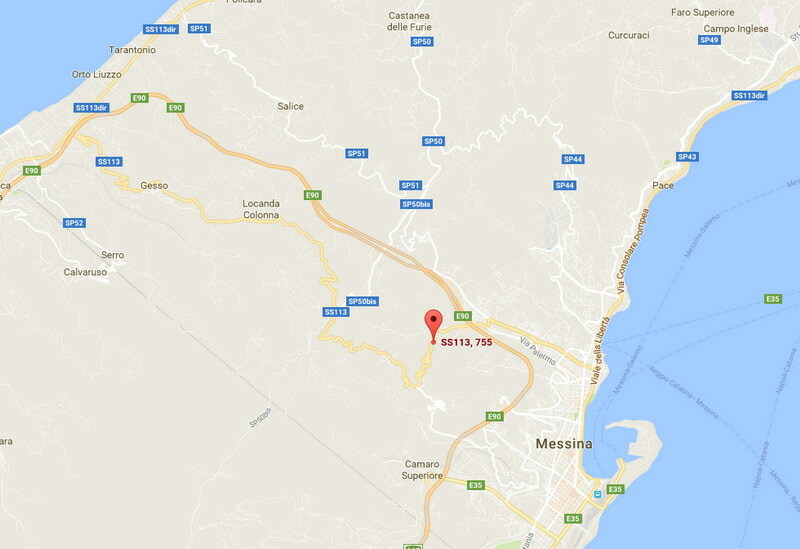 For this particular book one of the pictures caught my eye….. it were a couple of jeeps of the first Americans entering Messina, and passing the city sign. I figured they probably used the main road into the city, i.e. 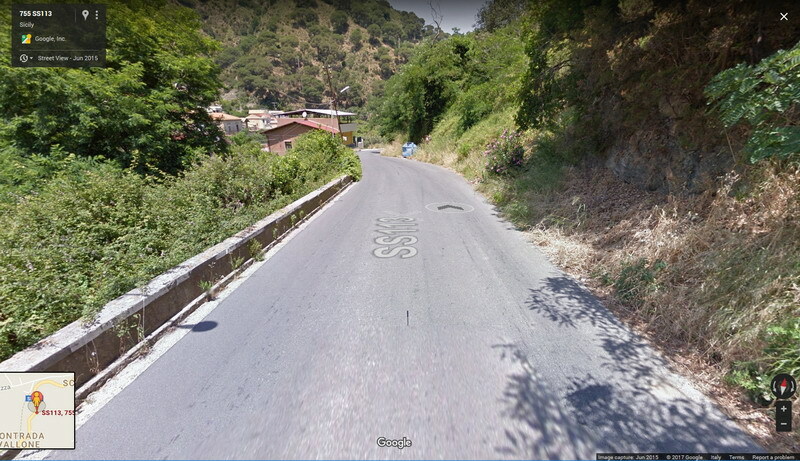 the SS113′, and used Google Streetview to find the current day city limit……… and lo and behold, I found the exact same spot that the old 1943 picture was taken. I believe the sign with the city name on it must have only be replaced once since WW2, or maybe not even that, looking at the state it is in today. The original photo from page 229 of Jon’s book. 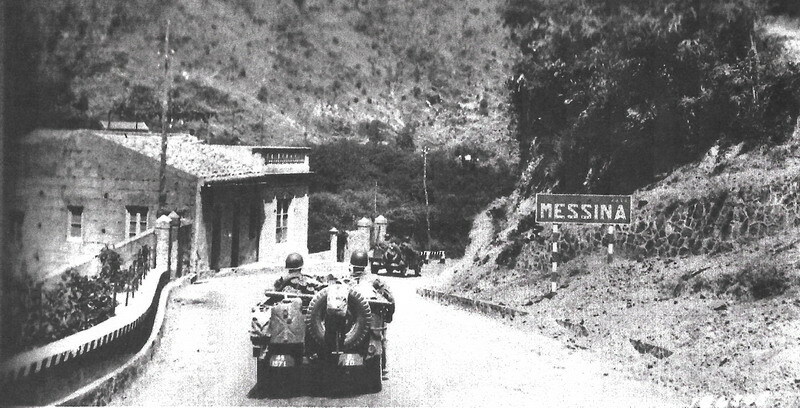 Jeeps of the 7th Infantry Regiment entering Messina on August 16th, 2943. The photo of the same spot I found on Google Streetview, taken in June 2015. 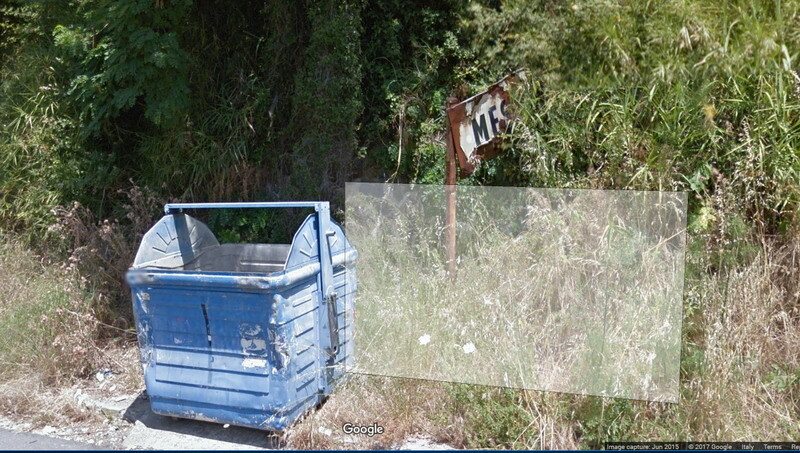 The town’s name sign can be seen just right of the blue dumpster. Here’s a close-up of the Messina sign. Looks like it has never been replaced! 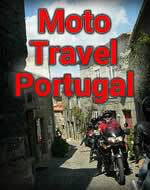 The spot where the photo was taken, along the SS113 into Messina.